This chapter has given a simplified overview of a very complex problem, and has only touched on the more common kinds of aggression problems. As previously mentioned, all dogs are individuals, making every aggression problem different and not easily categorized. If your dog has an aggression problem, don't ignore it. Don't ignore the warning signals, and don't make excuses. Without help, it will probably get worse. 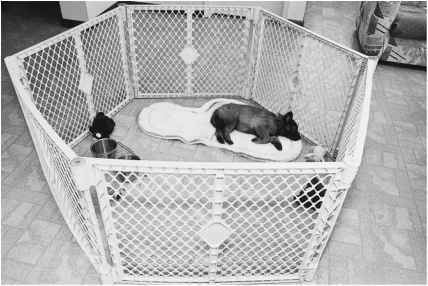 Dogs learn that biting works; it drives away the source of their stress. Once a dog bites, he is more likely to bite again. There are legal concerns in owning an aggressive dog. Society is increasingly intolerant of any nuisance created by dogs, and dog bites in particular are receiving a lot of publicity. 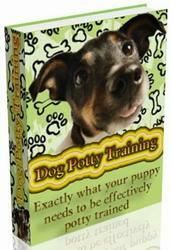 New laws are being passed that emphasize the owner's liability for his dog's actions. But more important than the legal concerns are the moral concerns. No one should have to suffer the pain and emotional trauma of a dog bite or attack. The emotional and physical effects can last a lifetime. Since dogs are everywhere in our society, a fear of dogs created by an attack can be a real handicap. As emphasized at the beginning of this chapter, seek professional help from someone with experience in aggression who utilizes positive reinforcement training. 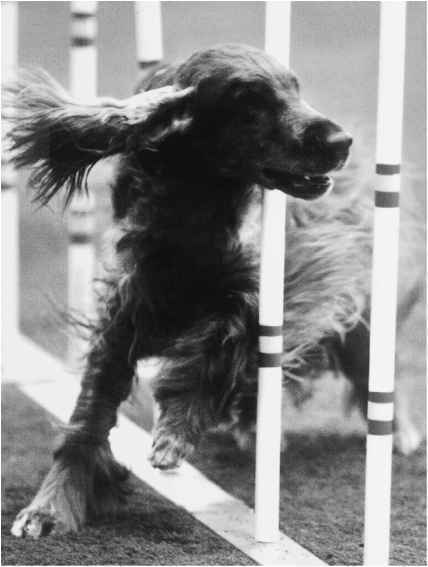 The author's Irish Setter drives through the weave poles in agility competition.